The bus was very clean,new and comfortable. The return bus came 30 min later and it was 17.45 in Plitvice Lakes in Croatia. That means that we were freezing for 30 minutes. Novi udoban autobus, čisto, brzo, bolje nego automobil- bezbrižno. I liked a lot the fact that there was WiFi and plugs. It was well organized, too. The bus ride was comfortable and on time. We could not get WiFi and the staff were very unfriendly. I really liked the way my luggage has been put very carefully into the bottom of the bus, meanwhile when I was driving the same route but with another company - CroatiaBus they just had thrown it inside carelessly. Arriva - Autotrans has a big like from me; for having ability to charge your phone, having the wifi, and making 5-10 minutes brake every hour and a half. CroatiaBus doesn't have any of this. I would highly reccomend Arriva - Autotrans to everyone. To što smp došli prije na odredište. Preis- Leistung. Und Uhrzeit der Abfahrt und Zeit der Ankunft. I guess we were traveling a day before a national holiday so the bus was packed. We had reserved seats, but we didn’t know how the buses worked Im Croatia and ended up having to stand in the aisle for our baggage for an hour of our three hour ride until people got off. It was a bad experience, but now we know better. 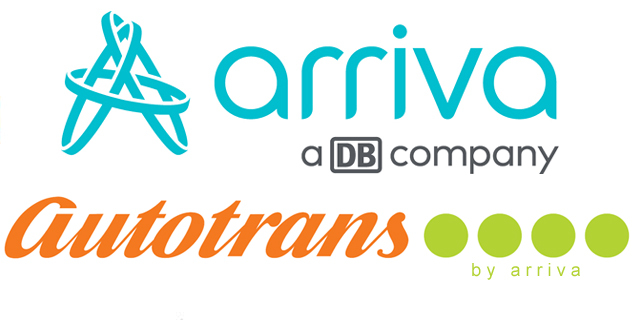 Arriva (former Autotrans) is the leading scheduled coach service operator in western and coastal Croatia and a member of the international corporation Arriva by Deutsche Bahn, present in 14 European countries. With frequent and regular bus lines, Autotrans connects about 1,000s of destinations across Croatia, from Zagreb, Rijeka, Split, Zadar, Dubrovnik, Pula and Osijek, all the way to the smallest and most remote Croatian towns in Kvarner, Istria, Lika, Dalmatia and on the islands of Krk, Rab, Pag, Cres, Lošinj, Brač, Korčula and Lastovo. During the summer season, Arriva also maintains daily transfers to Dubrovnik airport from Dubrovnik. Besides domestic bus routes Arriva offers excellent connections to numerous international destinations, such as those in Italy, Germany, Slovenia, Bosnia and Herzegovina and Serbia. As a part of the Arriva group, through its own travel agency Arriva travel, Autotrans offers sale of tickets and transport to festivals, concerts, matches, excursions and booking of accommodation in hotels, hostels and apartments and coach rental. How to recognize an Arriva Autotrans bus? Considering that rebranding is in progress, Autotrans white-colored buses with the logo in green and orange color on the sides of the buses are being changed to white buses with the Arriva logo in blue or blue buses with the Arriva logo in white color. The fleet of Autotrans is among the newer ones in Croatia, which means high quality and offer transportation with modern, comfortable and air-conditioned buses, with free WiFi service and outlets for charging electronic devices.